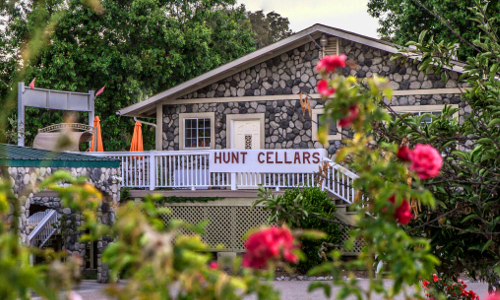 Hunt Cellars is located on the beautiful Highway 46 West Wine Trail exactly 3 miles West of Highway 101 (at Oakdale Road). (See map & directions.) This is along the scenic coastal route to Cambria, Hearst Castle, numerous wineries and other beach communities. The tasting room features a charming colonial-style facade and over 1200 square feet of decking overlooking a lush green lawn. 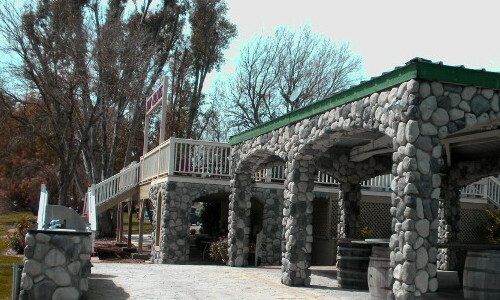 Picnic tables provide a peaceful spot for a relaxing snack, and visitors can enjoy a cigar in the outdoor pavilion area. Paso Robles Wine Country is an area that is experiencing tremendous growth in the vineyard and winery regions. The number of wineries and vineyards doubled between 1993 and 2002, increasing the production of the best red wine blends. 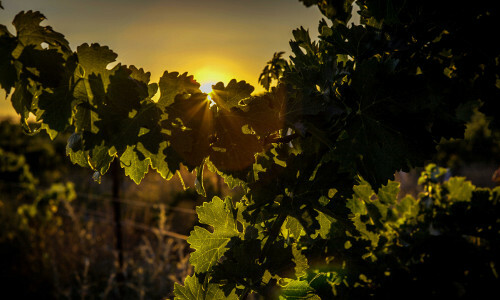 Within Paso Robles Wine Country you will find more than 25 different types of grapes and about 186 wineries for producing the best red wine blends. 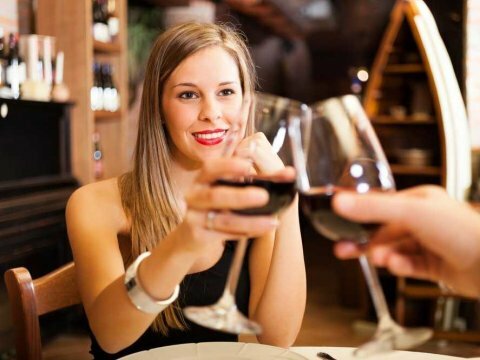 There is no doubt that Paso Robles has the best California red wine on the West coast, and if you add that to the other wine varieties, you know the huge variety from which you can choose. Paso Robles Wine Country will continue to produce grapes that are superior in quality in order to make the best wines, no matter what variety.